Another favourite memory of my dad is how one day I saw him writing a list of things to do on a job He was working on – not on a piece of paper but, wait for it, on an off-cut piece of wood! He hates waste and this is the ultimate in recycling, no?! 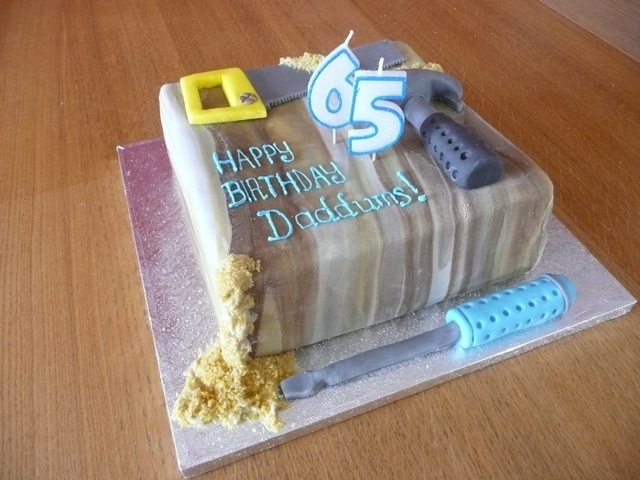 So when I look at his birthday cake, I think of that sunny day in his garden – as the cake looks more like a big block of wood than a bench really, I should have added more details to make it more workbench like but I was too scared to try and gives it legs and cross braces et al lol! Just one more story before I go back to the carbohydrate carpenters bench :D. One day early into mine and Hungry Hubby’s relationship, we were down at my Daddums’ flat (he worked away during the week for a long time) we were helping my dad clear out his garage. Hubby, trying to helpful and manly in front of his girlfriend’s father, was lugging big pieces of machinery around for him – proving he was a Real Man I suspect! Well, he spotted a giant plastic box – a real heavy duty one, filled with my dad’s tools and tried to move it. Now I must prefix this with the information that NO ONE is allowed to touch my dad’s tools – not his partner, not his family, not any of the men he has ever worked with over the years. They are prized possessions which he lovingly takes care of like prize lilies or hell, a brand new baby!! 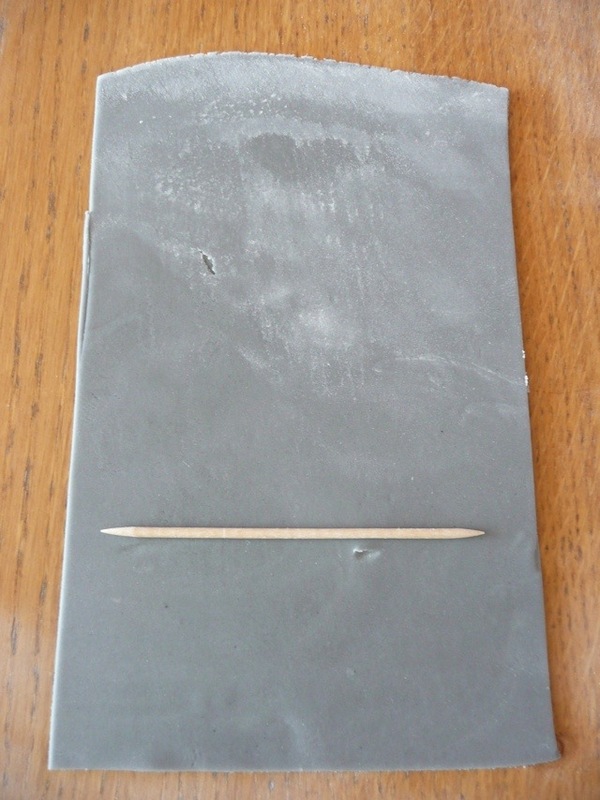 So, back to the tools – I started with the screwdriver as I thought it the simplest of the three I picked. 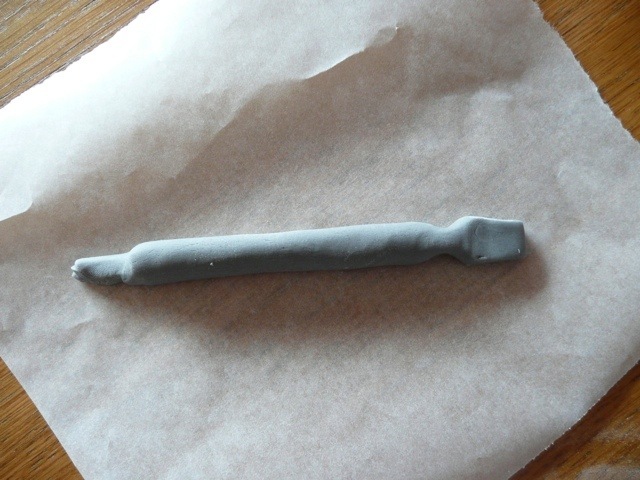 I bought a small block of grey sugarpaste to quicken things up and rolled out a thin strip, the rolled it tightly up around a cocktail stick to give it stability. Then I shaped and fashioned the “flat head” end of the screwdriver – I was not feeling ambitious enough to try a Phillips head! 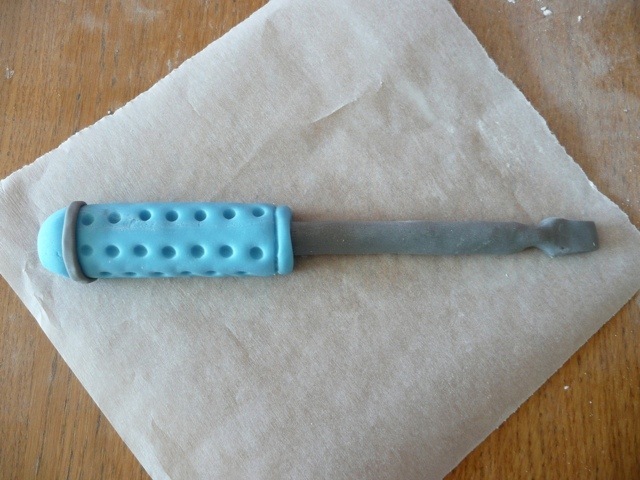 Next, I used a sausage of blue sugarpaste to make a handle into which I pushed one of these fabulous PME sugar craft tools (sorry, I’ve no clue which this one is called!) to make space for the “metallic” bit. 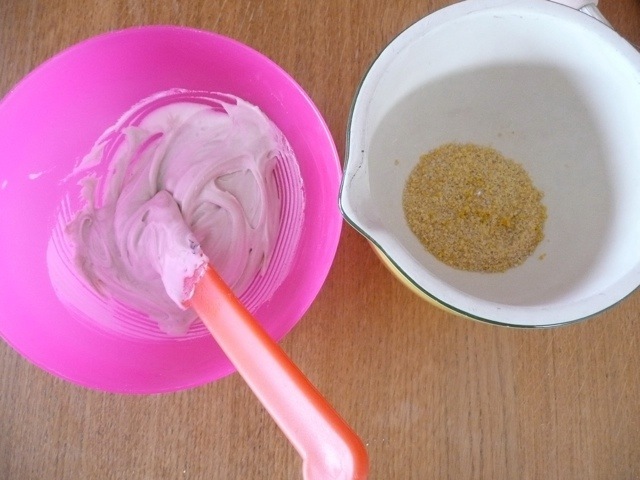 And here goes another big shout out to my friend Mhairi – thank you for lending me these tools, they absolutely revolutionised my ability to make this cake. Without them, it would have taken twice as long and looked half as good! So thank you hunny, love ya! 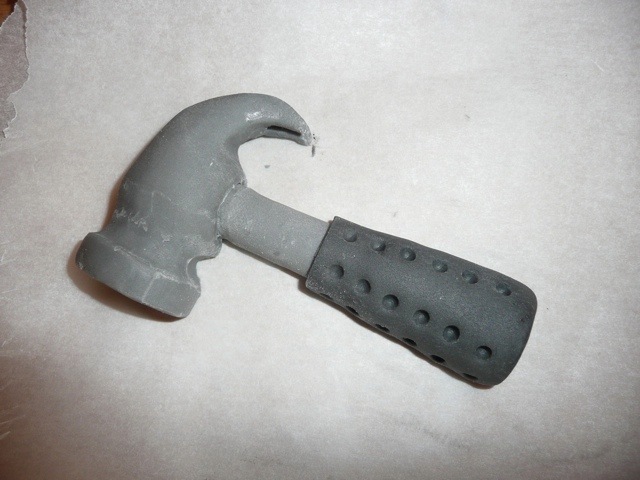 To finish it off, I pressed a small ball ended instrument into the handle to I’ve a dimpled grip sort of look. And completed with a strip of grey around the top. Just because. Next, into the saw. I was going to do the saw tooths by hand but, lo! Mhairi had sent me a tool just fit for purpose! 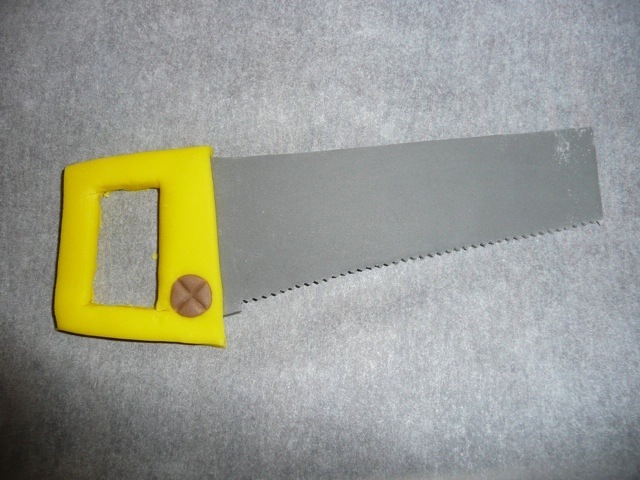 I just rolled out flat and thin pieces of sugar paste for the handle and the blade (and a wee blob for the screw holding them together) and moistened the pieces a bit with some water to get them to stick. The last addition is my favourite tool – the hammer. It has a comical, cartoony sort of look to it, I think because I made the head a little too large for the handle but it’s cute, so I don’t care! 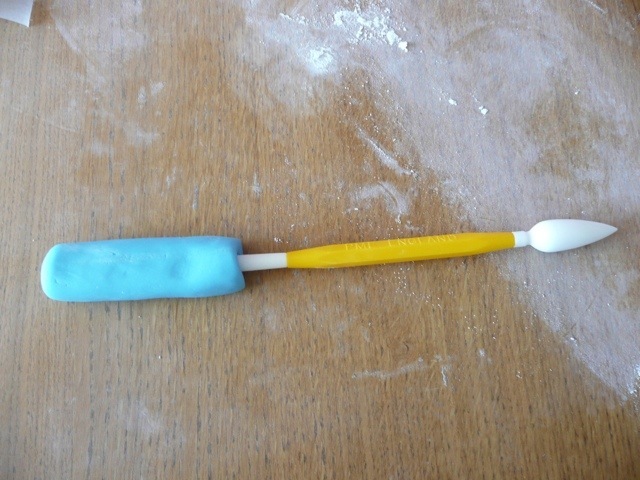 I crafted the head free hand and made the handle in the same why as that of the screwdriver. Just rolled an extra time to give a thicker handle plus layering on a black grip to finish. As you can see, the blade of the saw snapped! I was horrified (much like Hungry Hubby was on that fateful day!…) but it was my own fault, as I kept moving the tools around to see what the best “composition” would be. 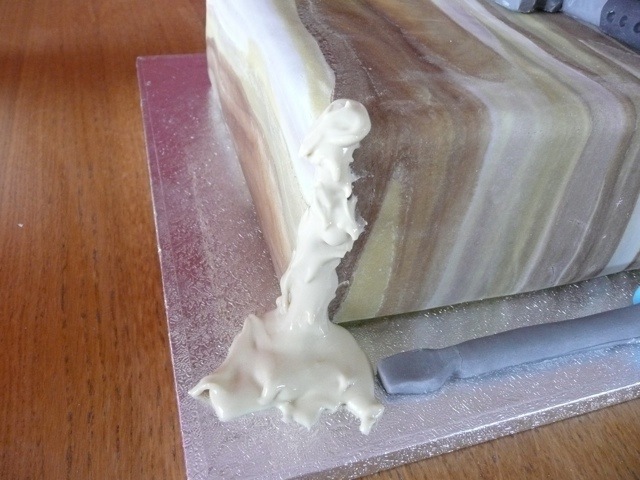 Ne’er mind – because of that, I learnt a new technique – in fact, I made one up! 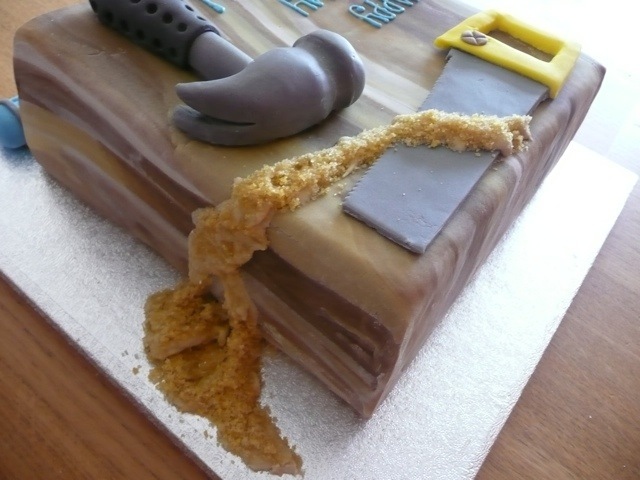 As the broken saw lay in the countertop, me with only a mere two hours left before I was due to be taking my surprise to the hospital, I channelled Daddums, kicked my lateral thinking into gear and developed a sawdust technique! …fluffed it up a little then sprinkled on my dust. Nothing more to it! I brushed the excess off with a pastry brush later. And that was pretty much it. Apart from piping on some wibbly words in leftover over royal icing tinted blue (Daddums is a lifelong Evertonian despite being born and bred in Dorset…) and positioning a couple of candles, the cake was finished. It was much fun and Daddums really loved it and I know he will love eating a piece of it when he can bear to cut into it – he’s an insulin dependent diabetic now as a result of his pancreatitis but if you can’t have a piece of cake to celebrate your birthday, the life ain’t worth living. He’s got the most self-control I’ve ever seen so I know he won’t be sneaking pieces behind our backs lol! I hope he cuts into it soon NY! He’s stills howling it off lol! Awesome, a true wonder of inspiration and dedication. Taught skill isn’t everything, self teaching is and nothing proves it more than this cake. Thank you Julia! One day I’ll get some proper teaching to expand my repertoire – I have little imagination of my own but can copy things quite well! 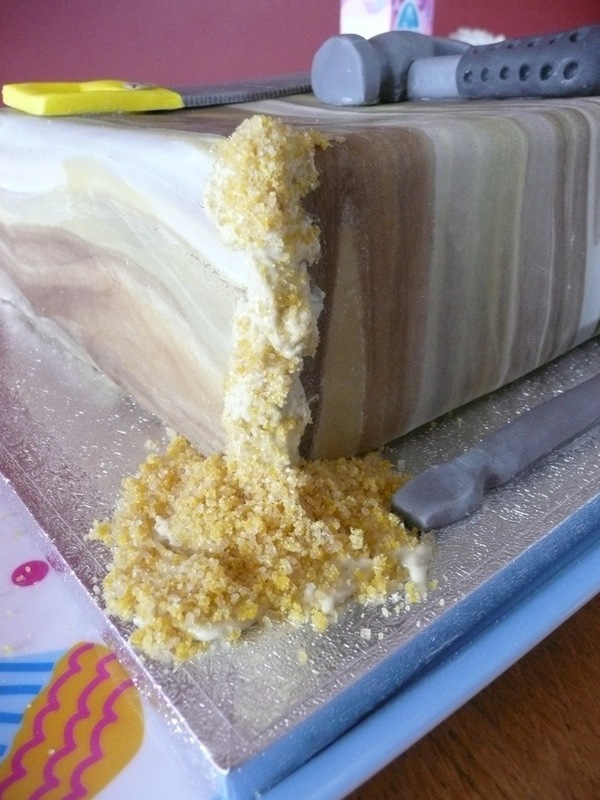 Oh my word Jo, this cake is fabulous! 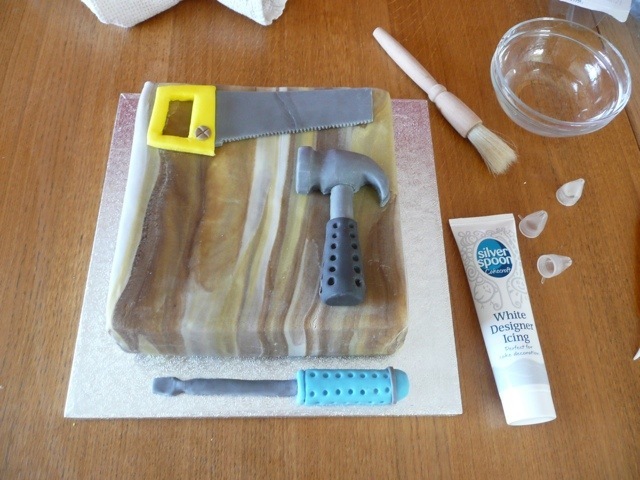 I haven’t seen the like and the sugar paste work is excellent, let alone the marbling on the wood! Your dad must have been so glad to see it! Fabulous work! Aww that’s fantastic!! Well done you. I am so impressed! You are amazingly creative and talented!